MANKIND has been sculpting statues for thousands of years to depict gods and animals or commemorate notable people. 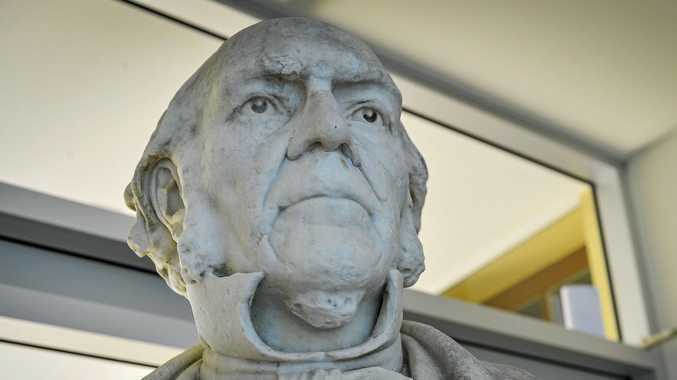 The following is list of Gladstone's statues and busts. Marble statue commissioned in the 1890's by unknown sculptor. Location: Gladstone Regional Art Gallery and Museum, Goondoon St.
Gladstone's namesake, William Gladstone (29 December 1809 - 19 May 1898) was the Prime Minister of Great Britain four times. Known as the 'Grand Old Man' he was one of the greatest statesmen of his time. Standing approximately two metres high, and weighing 1.5 tonnes, the marble statue of Mr Gladstone was first placed in Centennial Park, Sydney, in 1895. 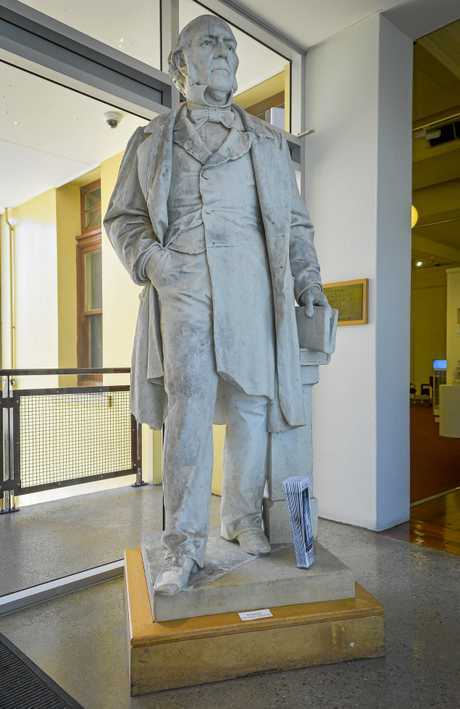 In 1986 a Gladstone music teacher, Mr Gary Matherson, discovered the statue during a visit to Sydney and reported the find to the then Gladstone Mayor, Col Brown. After lengthy negotiations, the statue was transferred to Gladstone and erected at the Gladstone Tondoon Botanic Gardens and unveiled 27 February 1992, by Her Royal Highness, Katharine the Duchess of Kent, wife of Prince Edward and then Mayor Colin Brown. In 2003 the statue was moved into the Art Gallery to prevent further damage from the elements. Bronze bust cast in 2006 by sculptor Paul Adamson. Location: Gladstone Regional Council chambers. 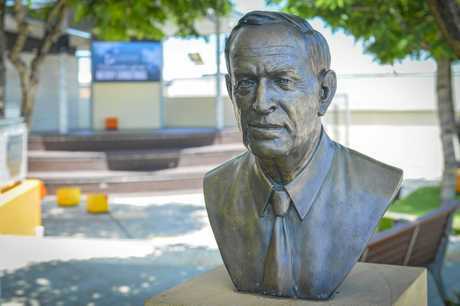 Colin Brown (1927-1994) was the Mayor of Gladstone from 1979 to 1994. During this period he oversaw an amazing amount of expansion around the region, including Gladstone's growth from a town to a city. Mr Brown was also the founder of GAGAL in 1985. His sculpture stood in the foyer of the Gladstone City Library for five years, but was moved to the foyer outside the council chambers in 2011. 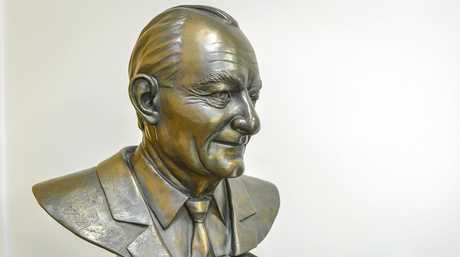 Bronze bust cast in 2011 sculptor Paul Adamson. George Creed (1940 - 2010) initially served as a councillor in the Calliope Shire from 1976 to 1995 when he was elected Mayor of the shire. In 2008 Mr Creed became mayor of newly amalgamated Gladstone Regional Council, a position he held until his retirement due to ill health in 2010. 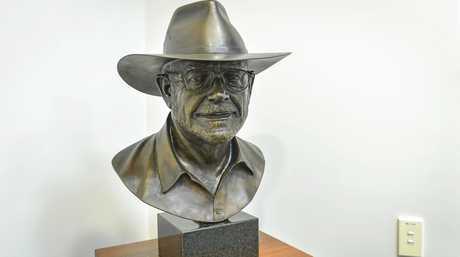 Sculptor Paul Adamson said casting Mayor Creed's glasses and Akubra Cattleman hat "took a very long time". Location: Library Square, Goondoon St. Known as Mr Gladstone, Cyril Golding (1920 - 2012) spent his life living and giving in Gladstone. From humble beginnings, and suffering ill health as a boy, Mr Golding worked hard to educate himself and built a large business empire that still bears his name. A strong supporter of young artists he sponsored the Golding Showcase and the Golding Bursary for Visual Arts. A second fibreglass bust stands in the Gladstone Art Gallery and Museum. Often mistaken from afar as a statue of the Virgin Mary the dazzling white statue of the female Buddha Guanyin stands almost seven metres high and weighs approximately one tonne. Erected on Quoin Island in the 1990's, by previous owners of the failed Quoin Island resort the statue cost more than $100,000 and was meant to bring the owners good luck. It was for sale for many years, but buyers were reluctant to make an offer as anyone purchasing it had to move it at their own expense. 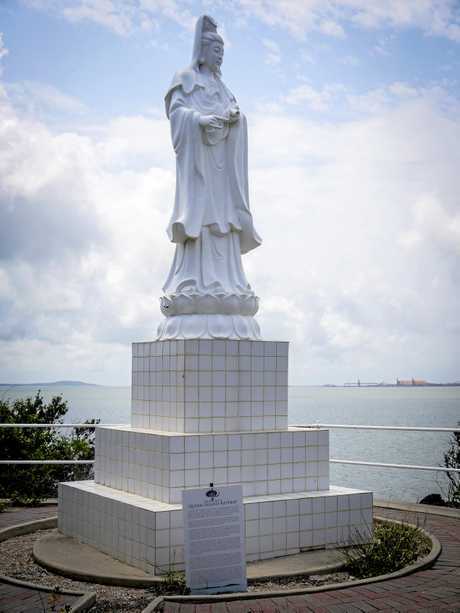 Guanyin, the Goddess of Mercy, cradling a sutra in one hand is expected to overlook Gladstone and the harbour from her lofty perch for some time to come.